WIN, Warrior Information Network, lots of links to other pages. 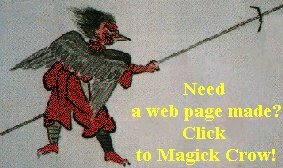 Jack Hoban's home page, Living Values (Bujinkan Buyu Dojo USA). Unofficial Ninpo-L Home Page. The e-mail chat site of the net. David K Martin's Bujinkan Ki-Ai! Transmission lineage is <= J.R. Edens <= Alex Mordine <= Soke Hatsumi. This site is an open discussion on the role spirituality plays in the Bujinkan martial arts. The site emphasizes the spiritual nature of the human being. It also offer videos, supplies, and books. Techniques in detail, slideshows, and much more! Guest Book Has links from people who signed the guest book.